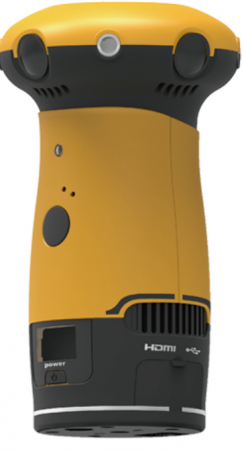 Aleta S2 is a fully spherical 360 camera with a photo resolution of 66 megapixels (11520 x 5760) and 4K 360 video. It has five lenses, each with 14mp sensors. The photo resolution has been decreased from the previous specification of 118mp but it’s still much higher than many other 360 cameras. According to company representatives, the Aleta S2 is expected to be available in October 2017. Thank you very much to Giorgio Marchetto of 360video.it for bringing this to my attention! Any guesses on price for this one? is it my imagination or does the s1 older version have inferior vertical resolution? it looks like maybe only 150 or 160 degrees? so much of the lower portion of image is wasted with a forced graphic. if the s2 does the same, it isn’t something i would buy. Hi Alex. The S1 is hemispherical, that’s why. The S2 has five lenses (four horizontal and one facing the zenith) so it is fully spherical. I have emailed them for details but I’m yet to receive a reply. Hi Mike. I will be testing the Panohero H5B soon. That’s fantastic, I’ll keep my eye out for your review. * The world’s highest real-time 12K image(66 Mega-Pixel) with 360 degree camera. * To offer the audio-in jack for high quality audio recording. * Easy Live-streaming on YouTube or Facebook instantly in 360 degree. * Free and easy-to-use mobile app for sharing and monitoring. * Easy setting for time-lapse mode at different intervals. * Over 24 hours long-time streaming or recording. * In-camera display mode switching and auto-stitching function.